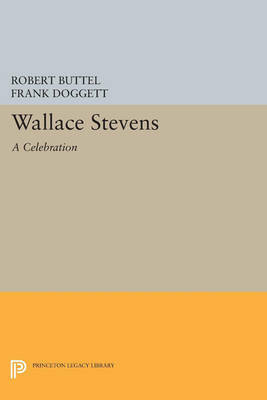 Honoring the centennial of Stevens' birth, this volume presents original essays by many of Stevens' best-known critics. Also included are 128 previously unpublished lines that appear in the poet's From the Journal of Crispin" (an early version of "The Comedian as the Letter C"); three endings composed for "A Collect of Philosophy"; the complete Adagia entries from Stevens' notebooks; and thirteen letters to business associate Wilson E. Taylor. Originally published in 1980. The Princeton Legacy Library uses the latest print-on-demand technology to again make available previously out-of-print books from the distinguished backlist of Princeton University Press. These editions preserve the original texts of these important books while presenting them in durable paperback and hardcover editions. The goal of the Princeton Legacy Library is to vastly increase access to the rich scholarly heritage found in the thousands of books published by Princeton University Press since its founding in 1905.